A few weeks ago, I’ve started trying to use the free tablature editor TuxGuitar. 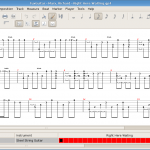 It’s a clone of Guitar Pro written in Java and available for Linux, MacOSX and Windows. Basically, it works, but hell, this is really no fun to use. You start playing a riff on your guitar, then you want to translate it onto a tab and it takes ages before you get the perfect timing. 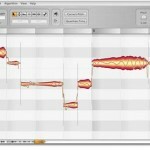 A friend showed me earlier a new software called melodyne, and have to say, it’s quite impressive. The idea is to read an audio file, analyze it and find out the notes that were played. The result is therefore a score and you can change the pitch and length of any note, transpose them to a new scale, etc. With this example, I wanted to show that we do have the technology to extract notes from an analogical music stream. Indeed, we have it, and Roland did not wait for melodyne to make some interesting devices such as the GK-3. It’s a device you add to your guitar and it produces the corresponding MIDI signals. They have also made some devices to go along this one such as the GR-20, which can synthesize a plethora of instruments (e.g. sitar, piano, …). Back to the original topic, what I’d like to have is the ability to plug my guitar in the sound card, play my riff so that it writes the notes to the tablature editor as if I had a MIDI guitar… but without adding any device. This may be quite complex to be able to do realtime analysis, but I guess it’s worth trying. Another much easier way to do that would be to, at least, have a way to tap the notes on the keyboard. Maybe you can already do that by using the MIDI input of the tablature editor and by using a virtual keyboard connected to it. If so, why isn’t this integrated into the tablature editors ? This is rather boring to use the mouse and the keypad to write music, really. So, basically, you would play FretsOnFire with your keyboard (using enter and F1/F2/Fx keys) to give the rhythm. Anyway, since I’m quite lazy, I don’t want to use the mouse and keypad anymore for this task, so I’ll investigate these ideas a bit as soon as I can allocate time. 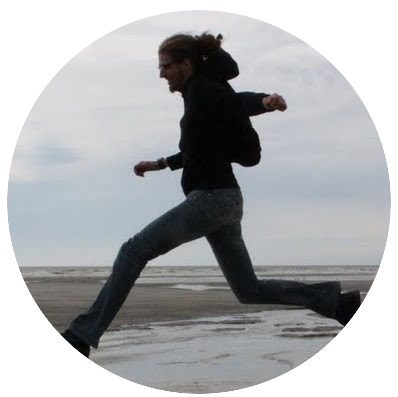 Oh, and if you know about some software or combinaison of software that can do that, I’m really interested in knowing them (and also scientific publications). Previous PostLymbago, final round (Day 7)Next PostEnlarge your python x10 ! Audacity 3.1, i believe, has a feature that, if only recording one track at a time, can take the notes and make a midi file which can be imported to tuxguitar, powertab, and guitarpro. This would allow you to play what you want with the timing you want without the pain staking hours on the keyboard and mouse.